The best part about winning a big prize on the lottery is the fact that you know that your dreams can now become a reality. 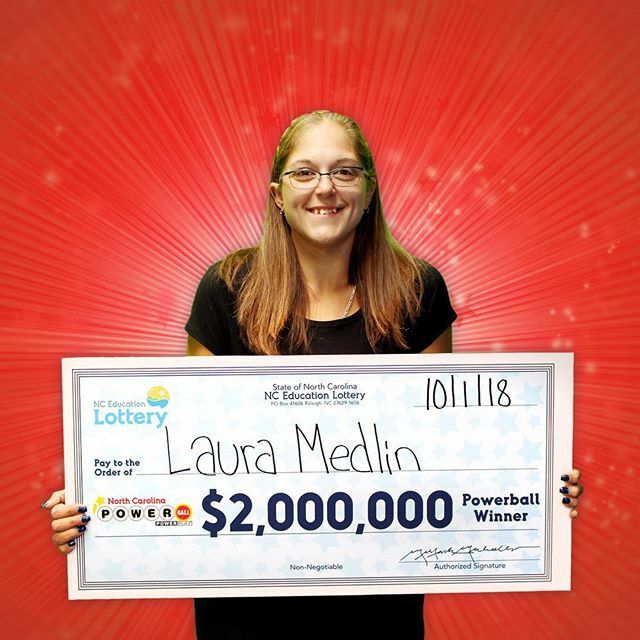 Laura Medlin, a school bus driver, had her life changed on Saturday when she stopped at the Quik Trip on Concord Parkway South in Concord and bought a Powerball lottery ticket. She found out she won the next morning when she took the Powerball lottery ticket back to the store and had the clerk scan it to see if she had won anything. At first, she was a little confused then the clerk informed her that she couldn’t pay her out. The lucky mum matched the main numbers 9, 17, 34, 59 and 64, but missed the Power Ball 22 on September 29th. The lucky Powerball lottery winner told lottery officials that she spent an extra buck on the Power Play option. That’s why her Match 5 prize was doubled! When asked what she plans to do with her Powerball winnings, she said that she intends to use the prize money to move into a new home she’s been fantasizing about for years. “I’ve been renting ever since I moved out on my own. I want a house with land and I want horses. I haven’t had a horse since I was 16, and I want my two girls to know what it’s like to have a horse and to experience the bond that comes,” said Medlin. Why not follow in Laura’s footsteps and make your dreams come true in the next Powerball draw! Will you be the next Powerball jackpot winner? Millions of people all over the world play the various international lotteries on a regular basis. The best part is, these incredibly lucrative lotto games are available to play online, from the comfort of your own home, no matter where in the world you are. Whether you play the American lotteries; Mega Millions and Powerball or Europe’s EuroMillions and EuroJackpot, the choice is yours. If you too would like to play the Powerball lottery online, all you have to do is sign up and play right here at PlayUSALotteries.com. If you’re a seasoned online lottery player who loves all things numbers, results, fun facts and excitement, make sure you stay tuned by reading our latest lottery news right here at PlayUSALotteries.com. Remember, if the thrill of winning and hitting that massive USA Lotto jackpot is your passion – PlayUSALotteries.com has you covered! Think supercars, mega yachts, opulent mansions and even your own private jet... ANYTHING IS POSSIBLE! If you think you could handle that kind of money, there’s only one way to find out – Buy a Powerball lottery ticket online now!